A beautiful personalised photo album the perfect gift for baby. The album holds 60 6" x 4" photos and sits in a pretty display frame. Both sides are decorated with stunning little features of a elephant, giraffe star and moon. 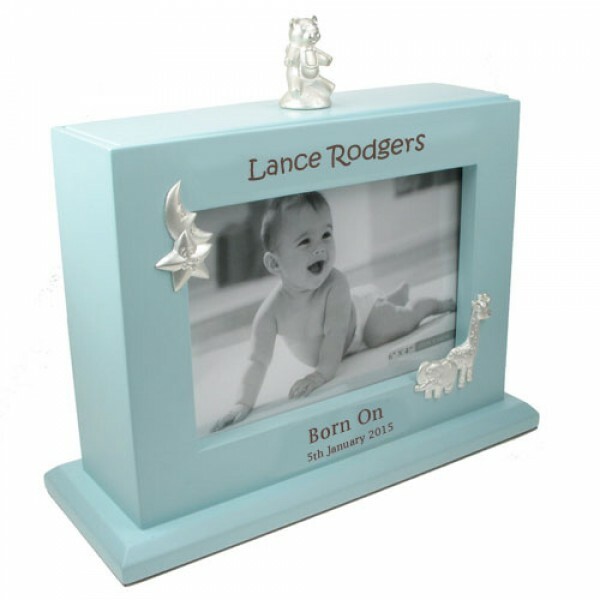 The laser engraving is precision cut into the frame for a professional quality finish.